Hello all, my name is Buck and I live in the central Florida area. This is the first boat I have ever owned and wow did I pick a "trial by fire" way to get into boat ownership. I have been lurking on this site for a while and trying to learn as much as possible. Thanks to Andreas for his help already with figuring out what year and model this boat is. 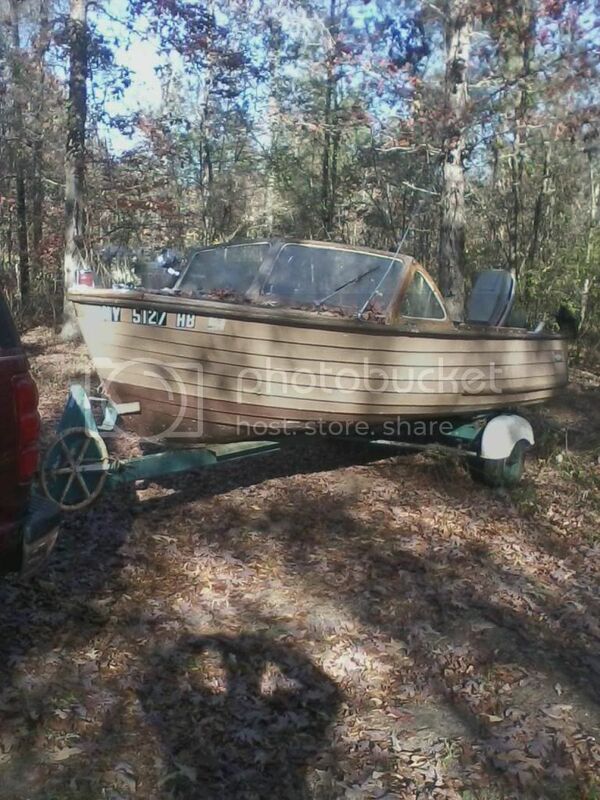 I bought it about a year and 1/2 ago after searching for a few months for a wooden boat project. I drove a couple hundred miles into Georgia and decided to go ahead and buy it despite realizing it was going to be more work than I wanted to do at the time. 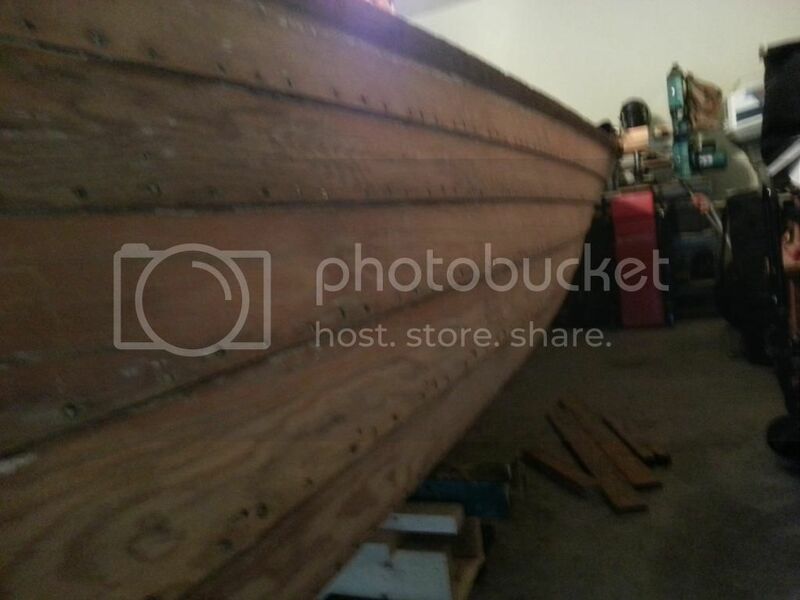 The good: It is a classic wooden boat! The back 6 inches of 3 laps need to be replaced, will be scarfed! Glad that I did not request to take it out on water, no way it would have floated even though previous owner said he had recently taken it out. I am posting pics and welcoming any and all suggestions, helpful hints that you all may have. I love this site and continue searching for new info,tips etc. 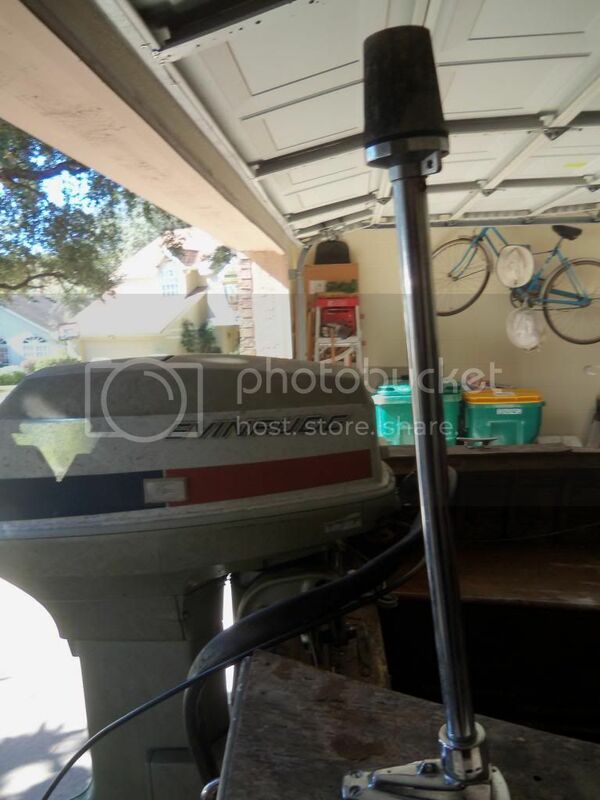 This is my craigslist find, bow gas tank, hope it works! 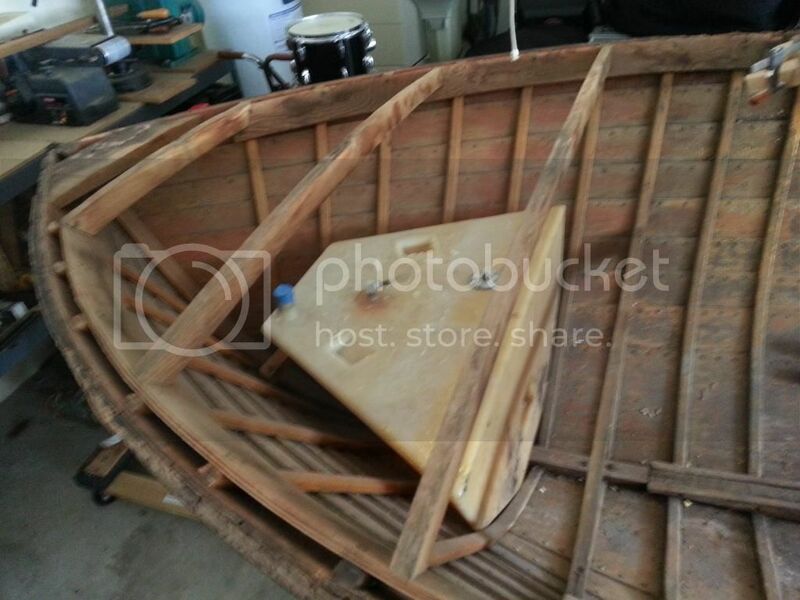 Welcome to the wonderful world of wooden boat ownership. Take your time and it will all come together and she will be beautiful again. Thanks Phill, it has been good so far. I originally had a 2 to 5 year build in mind and thought I would be closer to the 2 but will probably closer to the 5. Also, being in Florida the best time to work in the garage is during the winter but I have more time during the summer so I will just sweat it out. I have stripped and sanded most of the hull and have started on the inside. I also have the axle, step rails and rollers (will be converted to bunks) off the trailer so access to all the rib screws is done. I have my steam box built and a steamer bought, just trying to get a plan of action in play. There is a slight hog on the port side, was much worse, and the starboard side is straight as an arrow. Since I need to replace the transom and scarf in 6 inches on 3 laps, would it be easier to shorten the boat or just scarf the laps? Btw, that question is for anyone, not just Phill! Thanks for this great website, very helpful. Last edited by buxci on Thu Jul 24, 2014 5:36 am, edited 1 time in total. Keep at 'er ! You will get er done ! I am amazed at the scope of these projects. My 1965 Thompson Seamate is always the talk of our lake when I put her in the water. Since my Dad bought it new in 65 its always had a pretty charmed life. At some point I will need to give her another refresh when I have time. She has had a couple by my brother and I. Glad to see all the support on this site. I am looking forward to watching this project progress. Keep us in the loop. 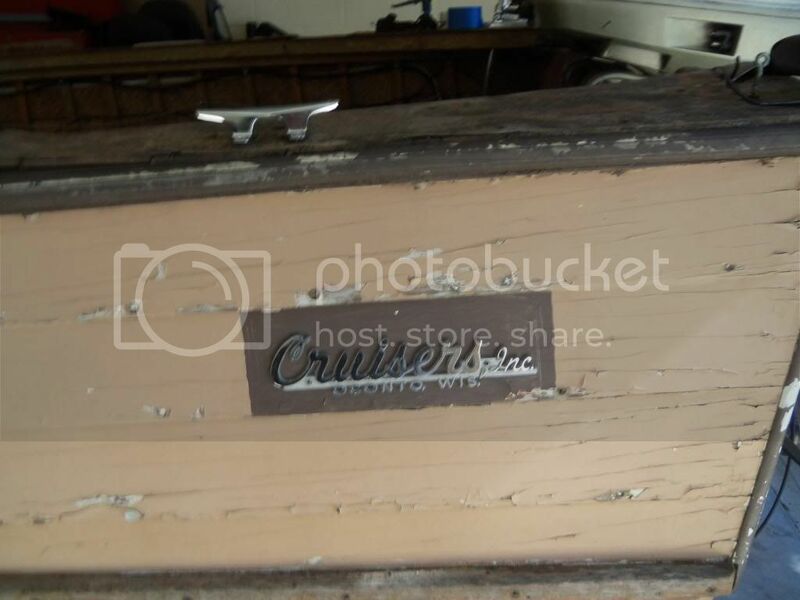 I recently obtained a 1957 Cruisers, Inc. Seafarer. She may be destined for the burn pile. Really nasty condition. If that be her fate, I will salvage anything and everything of possible value. I think the Seafarer was redesigned in 1958 so wooden things might not be transferable from one year to the next. Hardware stuff is certainly interchangable. Thanks to everyone for your input. I am going to finish rough sanding the lapstrakes today. I won't sand the garboard planks until I flip her over. Next step will be to work on the inside. 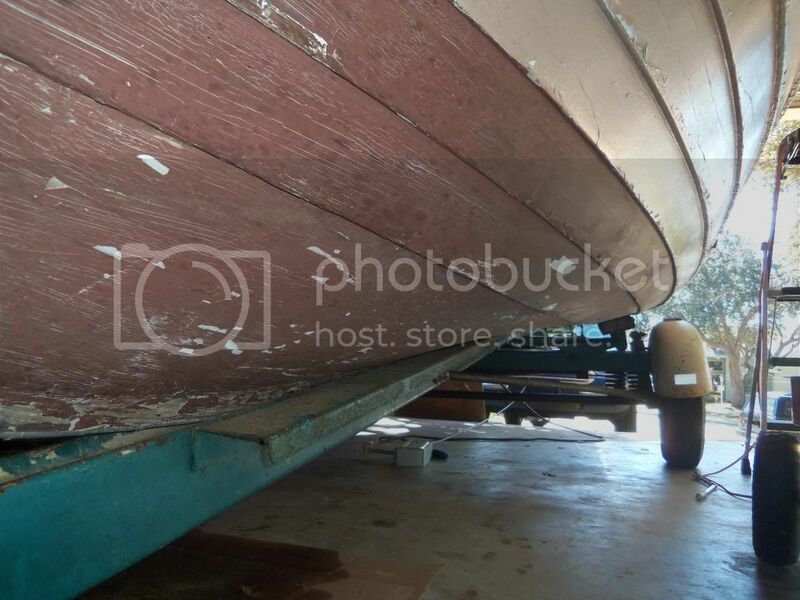 Going to strip the varnish and replace all the ribs, replace the transom and fix the 3 laps that need to be scarfed. I think after all that there will be enough structure to flip. So much to do. Andreas, that is good to know about your seafarer, sorry that it is destined for the burn pile. If they didn't change the metal badges from 57 to 58 I would like to buy one of them from you. I was taking the badges off and had taken the screws out and went to carefully pry underneath with a putty knife and barely touched it and it fell right off and I couldn't catch it, broke in 2. As far as anything else I think I am in good shape. She has an awesome manual air horn, steering wheel is in good shape, there is a cool windshield mounted spotlight and manual windshield wipers. Since I just see the hull everyday I know I am forgetting something, but will definitely ask if I come across something that needs replacing. I had a problem Identifying the year because the transom had already been replaced before. 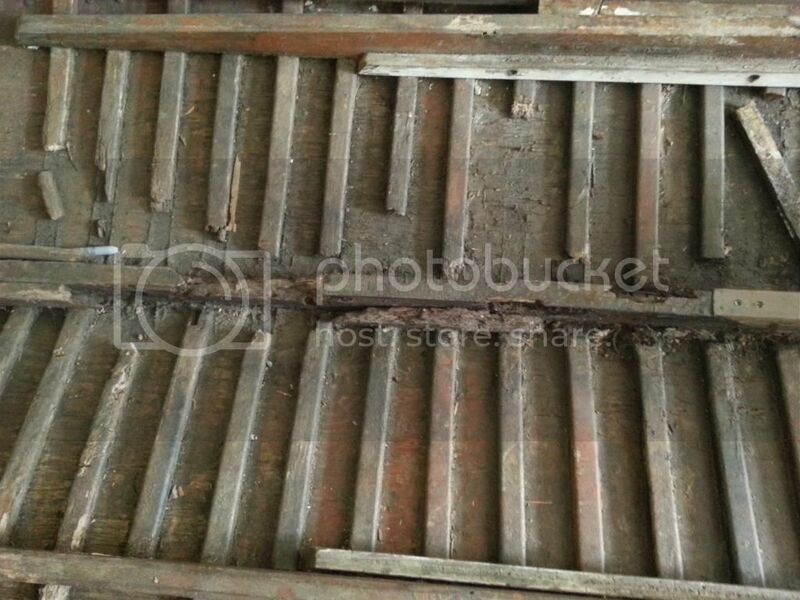 Has anyone seen sheet metal used between the two layers of wood? I know this isn't rocket science but what were they thinking? not heard of or seen that before Buck, but I am not the expert on this site for sure. Haven't updated for a while but have done some work. I am in the process of scarfing in the 3 laps and replacing the transom. 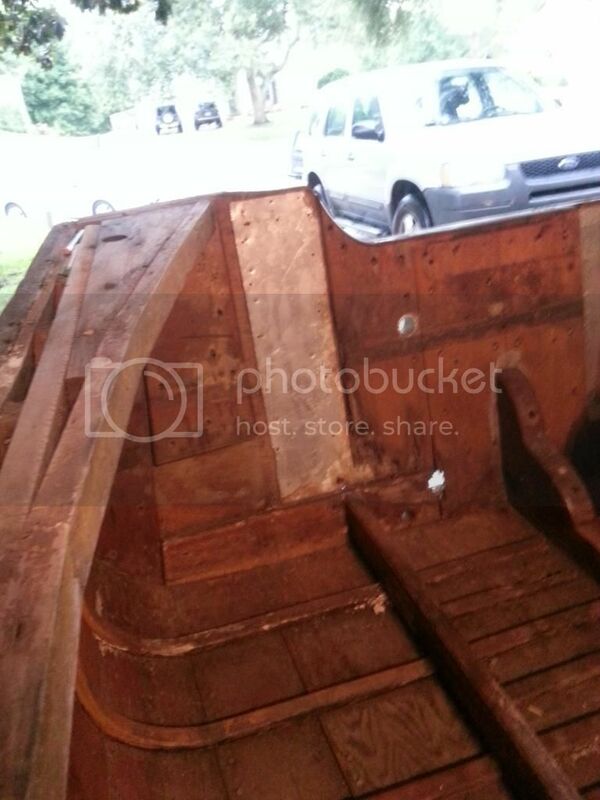 I bought the marine plywood and mahogany from a restorer in the area. I have a few questions for anyone who can help. 1. Attaching the laps to the transom are two rows of fasteners, nails fore and screws aft. Why were there nails used forward? I would think screws would be better because of the orientation of the wood grain on the fore transom pieces. Has anyone used screws for both rows? 2. Scarfing the laps is going to be a challenge. I have plenty of plywood to experiment with but want some input from others. Since the 3 laps that need to be scarfed are at the chine, what tool is best to get the scarf on the laps on the boat? 3. Is 4" an appropriate length for a scarf on 3/8" plywood? Thank you all and will keep you posted, hope to make some headway in the next 2 weeks. 1 - The nails were the first to be installed when the stakes were first put on the boat and the screws were in installed after. This was done to speed up the assembly. Screws can be used in both places. 2 - Scarfs can be done many ways. With a plane, sander or grinder which ever work best for you. 3 - The 1:12 ratio works best and gives you a good strong glue line for any type of wood or plywood. For 3/8" plywood a scarf of 4.5" would be best. Be sure to keep at least a couple ribs between each scarf on strakes that are one over the other. Thanks Phill! I will lengthen the middle lap to be scarfed so they are staggered more. I will use my sanding station (belt) for the new pieces, still trying to figure out what will work best for removing wood on the existing laps because of the overlaps and angles. Why not have the scarfs staggered in a step fashion, that will allow you to have access to the full width of the plank. A right angle grinder could be used in this area and a vibratory saw could be used under a lap if needed. Hello everyone, I haven't posted in a long time because I hadn't done much. A few weeks ago I was actually considering getting rid of this project because it had been sitting untouched for about two years. I was stuck at how I was going to repair the laps and thinking about how much other work still needed to get done. Then I got working on it again last week and feel much better. I am using a Japanese rasp to get the scarf on the laps and using a safe T planer on my drill press for getting the scarf on the new plywood, it is working well. I don't trust myself to use a power tool on the existing laps! Also, I was bummed because of the hog on the bottom but when I was doing some soul searching and rehashing all that is wrong with the boat I looked last week and it is almost back to flat! I have had weight on it since I bought it, dumbbells, bags of fertilzer, brake rotors, etc. I have a question for any to answer. I can get air dried and possibly even some green live oak here in Florida. I know the US Constitution was made with live oak and would like to know your opinions on live oak as opposed to white oak, and yes I know never to use red oak! I really appreciate this site, all the info, restorations, suggestions,etc. Getting back on here helped get me jump started and back into action! Thanks to you all. Live oak which is all heartwood is an excellent choice. But make sure there is no sapwood, since the sapwood is not decay resistant.